It is exceedingly common for a financial imbalance to exist between couples that are divorcing. This can lead to fundamentally unfair situations where the spouse with greater resources can afford to retain an attorney while the other spouse cannot. This can create inequitable outcomes to critical legal issues like child custody, property division, alimony, and child support. To address this imbalance and to offer both sides an opportunity to a just resolution, the legislature has made it possible for a dependent spouse to obtain attorneys fees in certain situations. 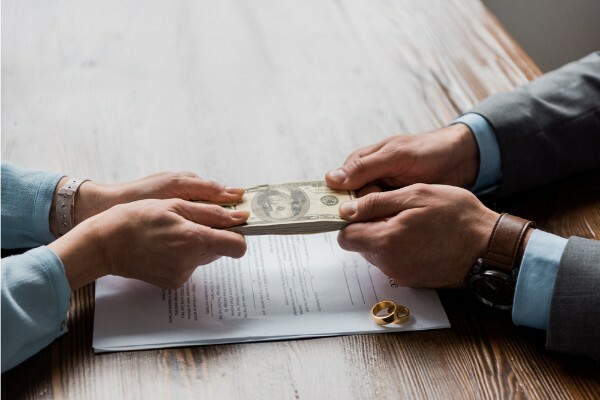 Post-Separation Support and Alimony — The North Carolina legislature has given the court the discretion to award attorneys fees in alimony and post-separation support suits. This makes logical sense as a spouse who is financially dependent on the other spouse probably lacks the independent resources to pay for legal representation. General Statute § 50-16.4 permits a court that awards support or alimony to a dependent spouse to also order the supporting spouse to pay reasonable attorneys fees. These are payable in the same manner that the alimony or post-separation support is paid. Custody and Child Support Proceedings — When it comes to child custody and child support proceedings, state law under the General Statute § 50-13.6 allows a court to “order payment of reasonable attorney’s fees to an interested party acting in good faith who has insufficient means to defray the expense of the suit.” This applies to original proceedings, modifications, and revocations. For child support case, the court can order the payment of attorneys fees if the “party ordered to furnish support has refused to provide support which is adequate under the circumstances”. Attorneys Fees Awards are Not Uncommon — When it comes to alimony, post-separation support, child custody, and child support proceedings, it is not uncommon for a court to award reasonable attorneys fees to the dependent party. Generally, a party seeking counsel fees must file a motion and present evidence at a hearing regarding reasonable fees. In response, the party being asked to pay the fees will attempt to fight paying the fees or to minimize the financial obligation as “unreasonable” fees. Whether your spouse is seeking attorneys fees, or if you are a dependent spouse seeking fees to pay for legal representation, we can help. New Direction Family Law represents men and women who need help ending their marriage or with a child custody dispute. There are many moving parts to property division, alimony, and child custody issues. With so much in the balance, our attorneys can help you fight for your legal rights. We are smart, effective, and passionate about helping people move forward. Contact New Direction Family Law at (919) 719-3470 to schedule an appointment or reach us online through our website.